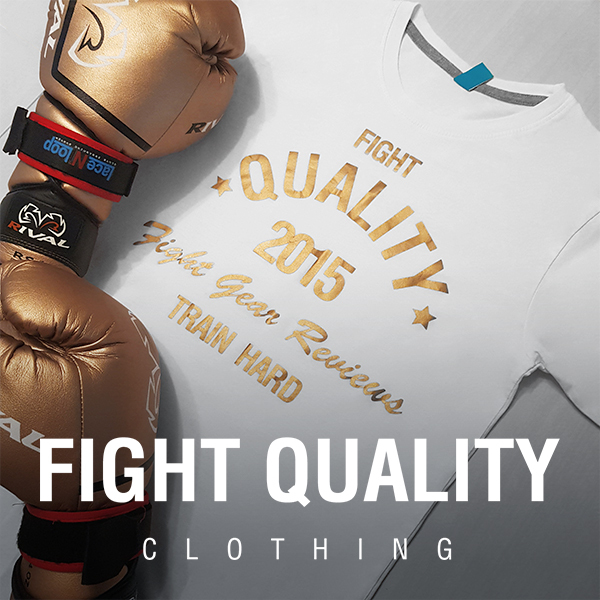 Joya is a martial arts brand based in the Netherlands. Founded in 2000 they have strived to build an excellent reputation worldwide. Joya have several sponsored athletes and offer a range of equipment including gloves, shorts, pads and gi’s. The Fight Fast gloves are part of Joya’s Pro Line, and have several notable features. They are available in the in the standard selection of sizes (10, 12, 14 and I6oz), and a few different colours, including brown, camo, white, black, and the version we’ve been testing – Faded black. Joya have chosen a sleek black on black look for these gloves, similar to the Joya Faded Black Muay Thai shorts that we reviewed recently. On the back of the fist theres a ‘Joya Fight Gear: Fight Fast’ logo, and another Joya Fight Gear logo on the wrist strap, along with a genuine leather patch. Finally on the inside of the palm, at the base of the little finger is another printed ‘Joya’. All the detailing on these gloves is embossed into the leather, and highlighted in a deep black, contrasting perfectly with the matte black / grey of the rest of the leather. The whole effect looks fantastic but maintains a subtle, understated aesthetic. Below you can find our Fight Gear Focus video giving you a close-up, visual look at these Gloves. Make sure you check out the rest of the video series and Subscribe to our YouTube channel so you don’t miss any of our future videos. Joya have chosen to use Nappa Leather for these gloves. This means the leather has a softer feel to it, making the gloves soft and malleable. Using real leather, as opposed to synthetic variants, should make the gloves more durable in the long run, and the leather Joya have used certainly feels very high quality. The inner lining of the gloves is very soft, and Joya have actually chosen a waterproof liner in order to stop sweat and moisture getting into the padding, which should help keep the gloves fresher for longer. Overall the materials used seem to be very high quality. In keeping with the materials used the craftsmanship of these gloves is also of a high quality. Joya hand make all their gloves, which typically improves the quality of the finished product. The Fight Fast gloves have been well made, with neat stitching and evenly spread leather. The attached thumb is reinforced with a thick ridge of leather, and there is double stitching in all the normal stress points. The first thing you notice when putting on these gloves is how tight they are – especially if your hands are wrapped. Whilst this gets better as the gloves are broken in it is uncomfortable to begin with. The padding is also quite thick around the fingertips (most notably the thumb) which, again, requires the gloves to be broken in before it becomes more comfortable. However they are very well padded gloves, offering great protection all around the hand. Joya have also extended the wrist strap of the glove, offering loads of support to help prevent injury, and making them perfect for people with dodgy wrists. I’ve found these gloves online for €80 which I feel represents good value considering their quality. They’d be well suited to any body looking for a quality glove, just bear in mind that they require a pretty significant amount of breaking in.